At Shrewsbury Orthodontics we love our athletes and know you want to protect their smiles! We are excited to offer 2 lines of custom made sports mouth guards for the athlete who is in orthodontic treatment and the athlete not in orthodontic treatment. For the athlete in orthodontic treatment, the sports mouth guard has a special internal design, a channel, that does not impede the progress of orthodontic treatment while wearing it. 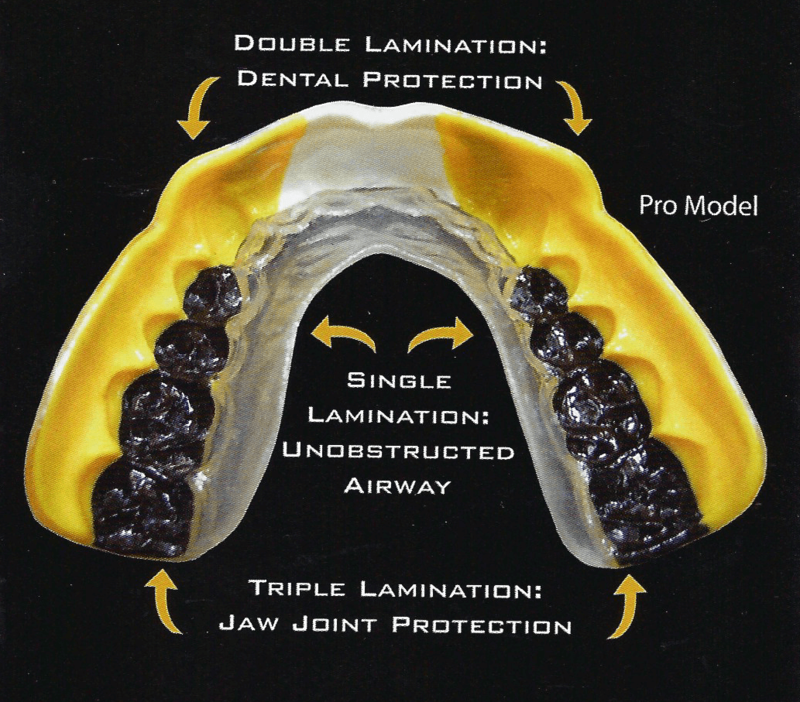 Both types of mouth guards are custom made and you can choose from several different levels of protection depending on the sport you are involved in. Both mouth guards provide a heightened level of protection from impact for teeth. They are considered superior due to a better overall fit, allowing improved comfort, easier breathing during wear, the ability to speak more clearly, better stability, and dental/skeletal/tissue/joint protection during sports. Many of our patients have custom designed the color of their mouth guard to represent their favorite color, color combination, or their school colors. In addition, these mouth guards are inserted and professionally adjusted (as needed) by Dr. Magoulas. All of these factors make using these mouth guards a smart choice and a valuable addition to the protective sports equipment of any athlete.